PassMeFast could help you pass weeks or even months ahead of normal waiting times in Blackburn, Accrington, Darwen, Bacup, and the local area. Find out how here. With a driving licence in Blackpool, you can explore everything from the Illuminations to the Tower to the Pleasure Beach! Book with us and get your licence fast in Blackpool. 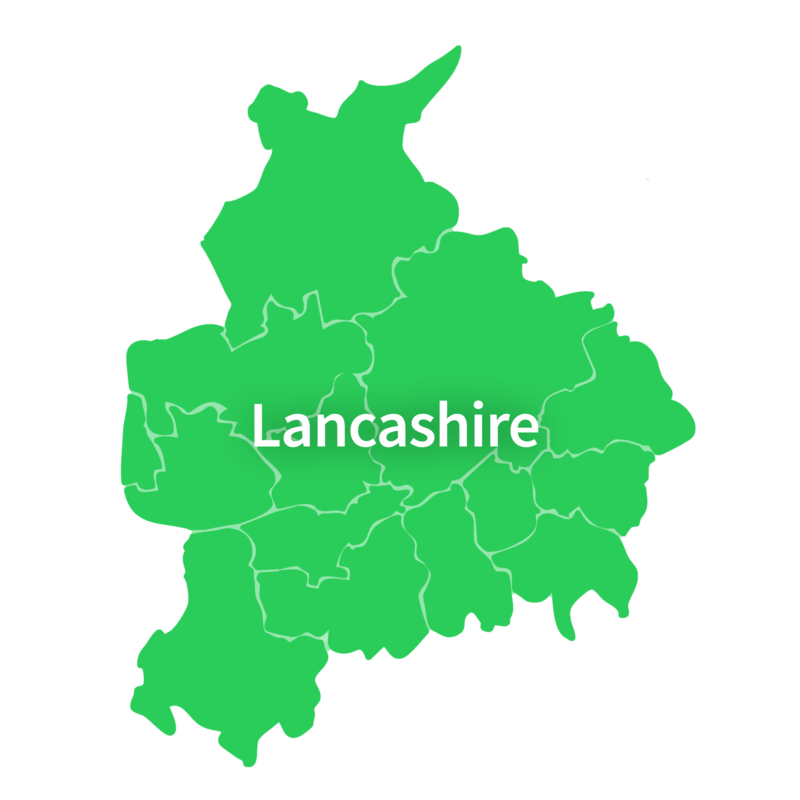 PassMeFast proudly covers Burnley, alongside the entirety of eastern Lancashire, including Nelson, Colne and Clitheroe. Learn more about our courses in Burnley here! Learners living in Chorley and Leyland can take advantage of PassMeFast’s range of tailored courses to pass their driving test fast. Learn more about our courses here! If you’re looking to learn to drive in Lancaster and north Lancashire, including Morecambe, Carnforth and Heysham, then click here to find out about our courses in the local area. If you’re in the Preston area, and are looking to explore everything Lancashire has to offer by car, then get your licence in just weeks with PassMeFast. Learn more here. If you’re looking for a fast, flexible driving course in Skelmersdale, Ormskirk, or throughout West Lancashire, then PassMeFast can help—learn about our courses in the local area here.